When I was young we used to call all flowers that looked like this "bottlebrushes". Their proper name is Callistemon. These ones are local native flowers and grow well in my backyard. In this area of the country most of the native flowers bloom from now (autumn/winter) until early spring. I heard a bird calling in these trees the other day and when I went and looked I found a Little Friarbird. This is another one of our local birds that has bare skin around its face and eye rather than feathers. What a wonderful, colorful post for the day, Mick!! And I love the bird with his bare skin face!!! How different!! Thanks so much for sharing!! Have a great week! My mom has the red bottle brushes but I've never seen the other variety. Likewise I've never seen a Little Friar bird. Beautiful bottlebrush blooms Mick. Some of the things I miss most about Australia are the flora and fauna. Bottlebrush and wattle are two of my faves. The Friarbird looks a little worse for wear without face feathers. Great shots. 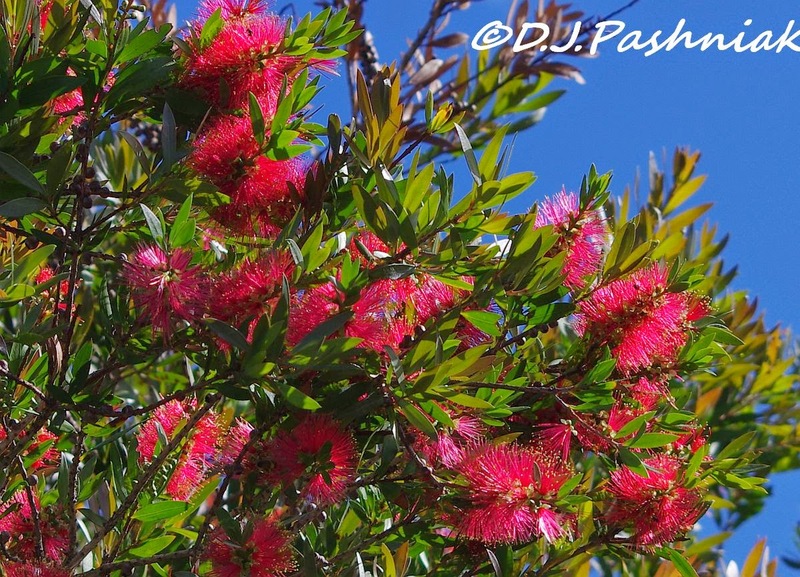 Beautiful shots of your Callistemons, I call them this, I used to call them Bottlebrushes as well. I love this little bird, with or without facial feathers. Beautiful..especially the bottle brush.You captured their detail so well. Wonderful photos and a funny bird. 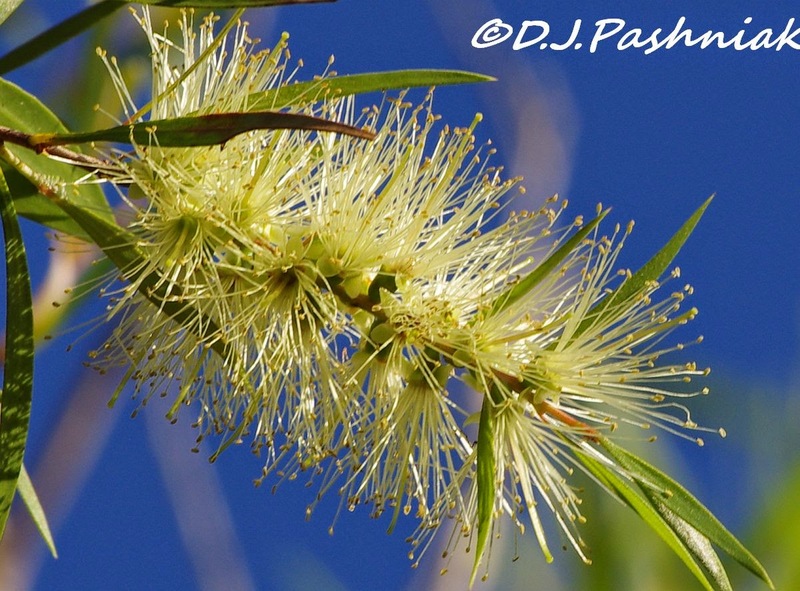 Bottlebrush is a very good name for those flowers. The bottlebrush is pretty, I love the color. Funny name for this cool looking bird. 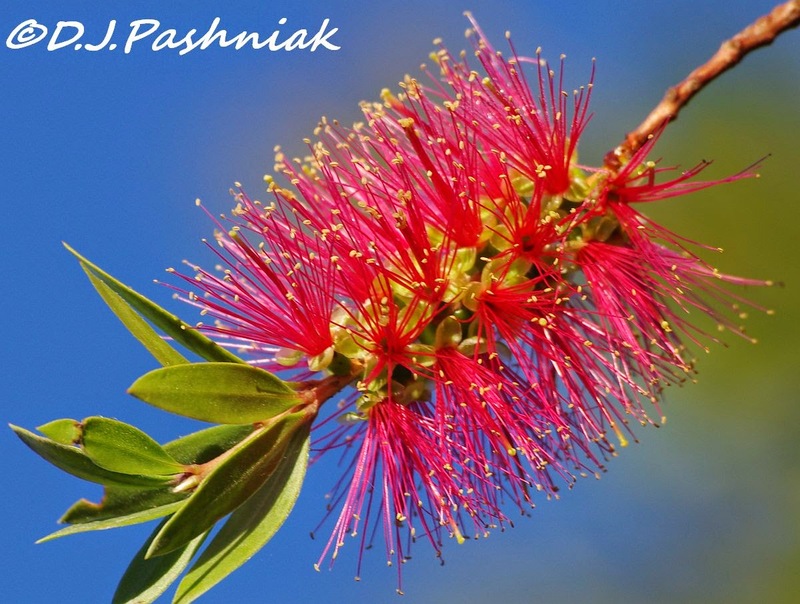 Wonderful photos..
We are old and we still call them bottlebrushes! There are actually a couple of the red ones growing here in our RV Park -- very decorative. Lovely pictures. A very interesting bird -- never heard of birds without facial feathers. Interesting looking bird! We have bottle brush here in S. California, although I can't recall ever seeing the white flower variety. ...a friarbird. Never heard of this species. I'm glad you shared your great photo with us. And the bottlebrush...we have them here in Texas [and Bud and I planted two when we lived in AZ]...but I must confess, I've never seen the yellow ones...just the red ones. When one sees those pretty flowers, one usually see a Wattle bird. Great shots of both. Your Friarbird is delightful! Love the flowering trees also. 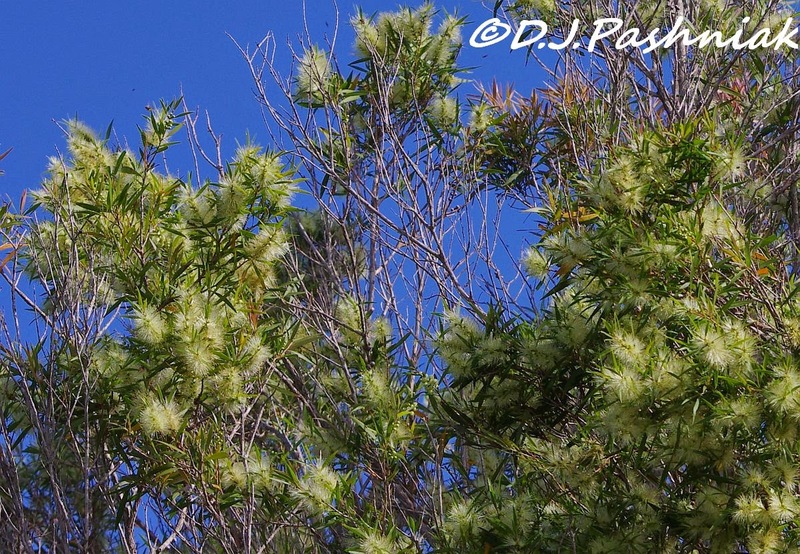 These flowers are certainly a draw card for many honey eaters and similar birds. All beautiful and the bird is so attractive! That Friarbird is a new one for me. Great photo! Wonderfully blue skies and signs of spring. We have those here! 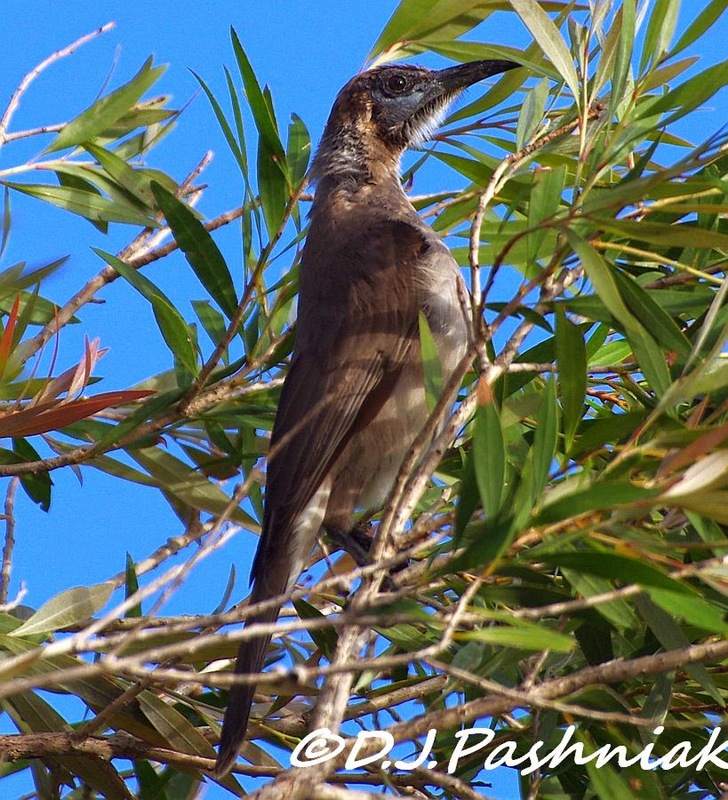 Love your photos of them, and of the friarbird which is a little like our curve billed thrasher.